Peterpaul & Clark, PC traces its history to 1910. It is a full service law firm that has served private, public, corporate and individual clients for many years. Traditionally known for its expertise in labor and employment law and as counsel to private and public employers, Peterpaul & Clark, PC has enjoyed years of steady growth and an increase in the scope of legal services it affords. The firm now provides a full range of legal services and maintains as its hallmark the determined protection of the rights of each client. The firm is one of the oldest in the State of New Jersey and is proud to have been an advocate in some of the landmark decisions in labor relations. Peterpaul & Clark, PC clients include public and private employers, large and small companies, colleges and universities, schools, automobile dealers, banks, hospitals, insurance companies and non-profit organizations. In 1998, the firm merged with the law firm of Peterpaul & Corcoran in order to provide enhanced legal services in the areas of litigation, estate tax planning and estate administration and a broader array of corporate services. 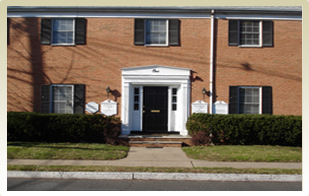 The firm’s principle office is located at One Cleveland Place, Springfield, New Jersey 07081. It also maintains a satellite office at 1126 Broadway, West Long Branch, New Jersey in order to better serve its statewide client base.